Kathryn, 18 Apr 2011Can someone advise me why my prepaid credit get automatically deducted eventough I am not usin... morethats because its an android and even you are not having the internet package it is automatically connected to the internet which charge you from your daily credit that you top up.the best option is get a monthly package for internet (98 rs)and then check your daily credit wont go. Kathryn, 18 Apr 2011Can someone advise me why my prepaid credit get automatically deducted eventough I am not usin... moreyou will need to turn off the data traffic option. or else your phone will continue to search for updates which will use up your credits. hey! 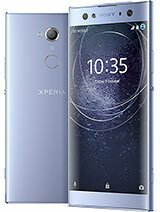 im planning to buy sony xperia x8. they say the battery is poor, but im kind of fan of SE, can any body tell me about the batery bkup of this phone???? coz the users can tel much beter than the manual..
else any other mobile suggested for me in the mid range with good bakup in SE with max features?????????? can i open documents like powerpoint or excel ???? and can i use the whatsup app on this mob ??? Kathryn, 18 Apr 2011Can someone advise me why my prepaid credit get automatically deducted eventough I am not usin... morejst go to home screen and add widget data traffic.so disable this when u use. Kathryn, 18 Apr 2011Can someone advise me why my prepaid credit get automatically deducted eventough I am not usin... morechoose data traffic option off.this will.solve ur problem. Will android 2.2 App will lunch in this mobile cuz it contains very low in built memory though am not able to install more app is there any option to install the app in sd card????? Can someone advise me why my prepaid credit get automatically deducted eventough I am not using the phone? Is it has to do with the configuration setting? I usually access the internet thru my home wifi and not my X8 phone. Could it be the X8 setting has a auto connect to the internet via the phone 3G access and bypass my hse wifi? AnonD-4145, 16 Apr 2011x8 or galaxy fit ???? i think screen resolution is the only advantage for x8....what should i... morego for x8,it is a good phone.and android phones is better than symbian phones. Niraj. is dumb. Go for X8. it's smooth. very good display and very good for playing videos. the only negative thing is the battery life, have to charge it 3x/day.